Veya kitabı 24000 Kobo Super Points ile alın! 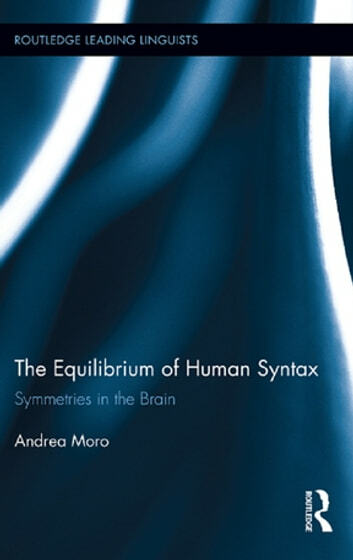 This book assembles a collection of papers in two different domains: formal syntax and neurolinguistics. Here Moro provides evidence that the two fields are becoming more and more interconnected and that the new fascinating empirical questions and results in the latter field cannot be obtained without the theoretical base provided by the former. The book is organized in two parts: Part 1 focuses on theoretical and empirical issues in a comparative perspective (including the nature of syntactic movement, the theory of locality and a far reaching and influential theory of copular sentences). Part 2 provides the original sources of some innovative and pioneering experiments based on neuroimaging techniques (focusing on the biological nature of recursion and the interpretation of negative sentences). Moro concludes with an assessment of the impact of these perspectives on the theory of the evolution of language. The leading and pervasive idea unifying all the arguments developed here is the role of symmetry (breaking) in syntax and in the relationship between language and the human brain.